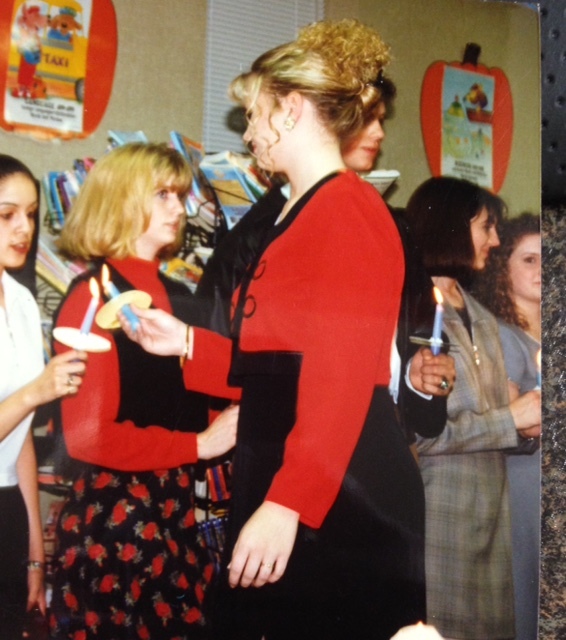 If you ever need a good laugh (or cry), here’s an idea – go through your old high school photos. That’s precisely what I did last night and let me tell you it was nothing short of a revelation. 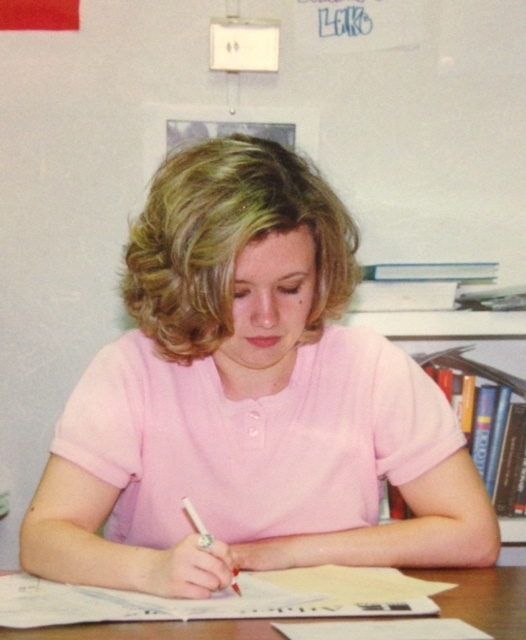 I started my photo-dig with the intent of writing a post about my personal fashion journey over the years but you know how that goes. You think it’s going to take 5 minutes and 3 hours later, you’re smile-crying on your bedroom floor as you stroll down memory lane. I was able to finally make my choices for Transformation Tuesday but it was difficult. 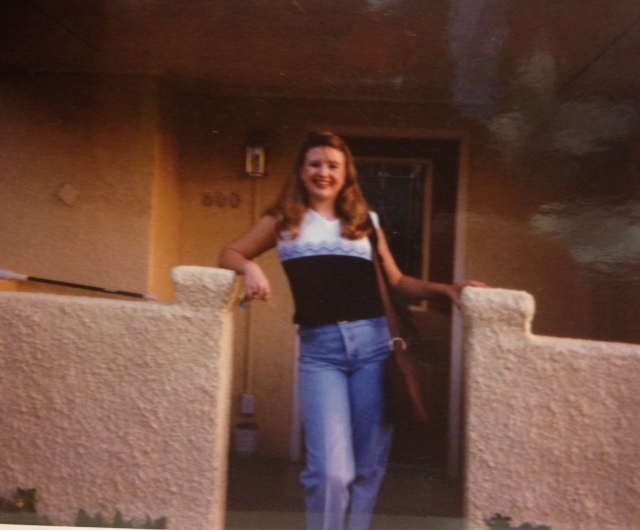 After all, there was no shortage of poor fashion choices in the 90s. 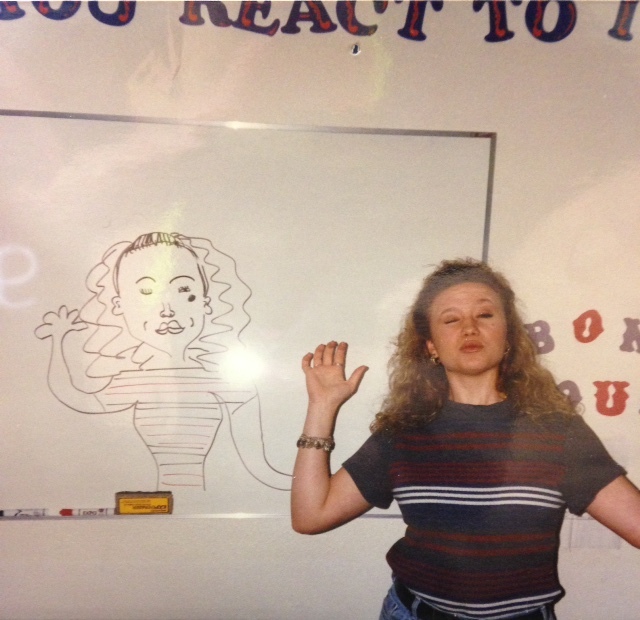 BUT, before I share this somewhat embarrassing glimpse into my past I need to post a disclaimer. 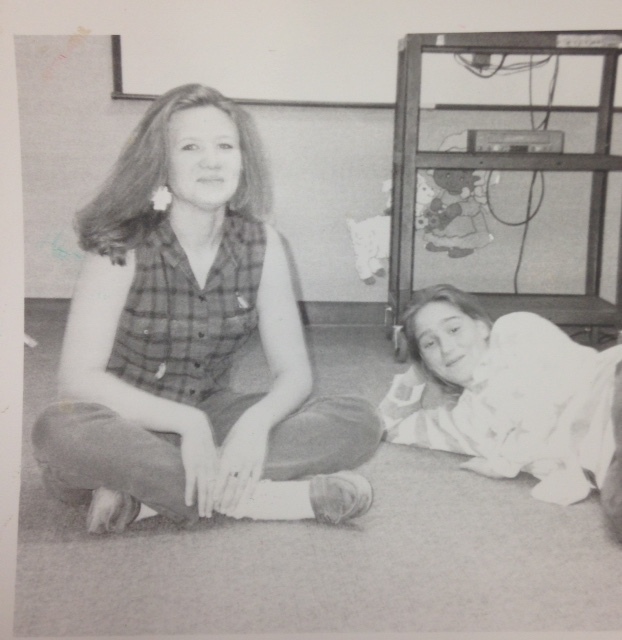 I have spoken in several previous posts about growing up as a big girl. Well, in my mind, I did. 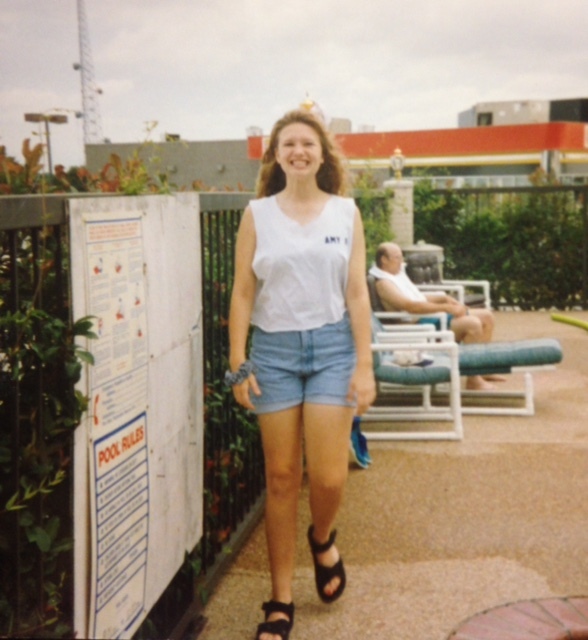 But looking back at these photos I have one prevailing thought….I WAS NOT FAT! Oh my word, why did I think I was fat?! Oh, right, because I was 5’10” and wore a size 12/14 while all my friends were 5’5″ or less and wore single-digit clothing. UGH! I could just slap that girl for thinking she was anything but beautiful. I digress. Let’s talk about hideous style choices. Choice #1 – getting on the “Rachel” haircut bandwagon. If you were alive in the 90s, then you know what I’m talking about. This is not the worst choice I could’ve made but I was about 2 years behind the trend. That was typical for me back then. Choice #2 – Windpants. I’ll say it again. Windpants. There’s another slap for teenage Amy. 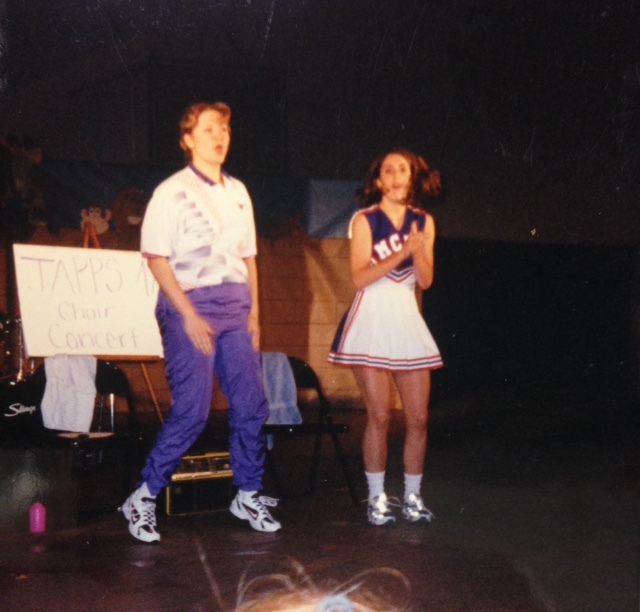 Sure, in this picture I was doing a skit for a pep rally but I wore those windpants all the time – not just when I was playing the role of “Craig” from The Spartan Cheerleaders. Choice #4 – I can’t even with this one. Nothing says classy like a banana clip. I think the blonde staring at me from the corner of her eye is judging me. I don’t blame her. Choice #5 – Again, not so bad initially but the starched jeans are a bit much. I had a part time job my senior year at a dry cleaners. Yay for stiff, creased jeans? Choice #6 – the big earrings are a win in my book but that choice is cancelled out by the fact that (I’m pretty sure) I’m wearing socks with loafers. Choice #7 – Horizontal Stripes?! Maybe I was a little more fearless with my fashion than I thought. Thanks for strolling down memory lane with me. For my younger readers, let this be a lesson to you. For my “seasoned” readers, can you identify? I’m guessing you made a few errors in fashion judgment somewhere along the way! I honestly saw past the fashion choices as saw a person who smiles, has fun, has friends, loves life. That’s what matters 😉 But I do have to agree with you the creased jeans, oh lawd! HA! Yeah, in west Texas creased jeans are not uncommon but personally, it was not my brightest moment =/ That just goes to show you, just because something is free does not mean it’s a good idea!